Why Frame with Frame It? 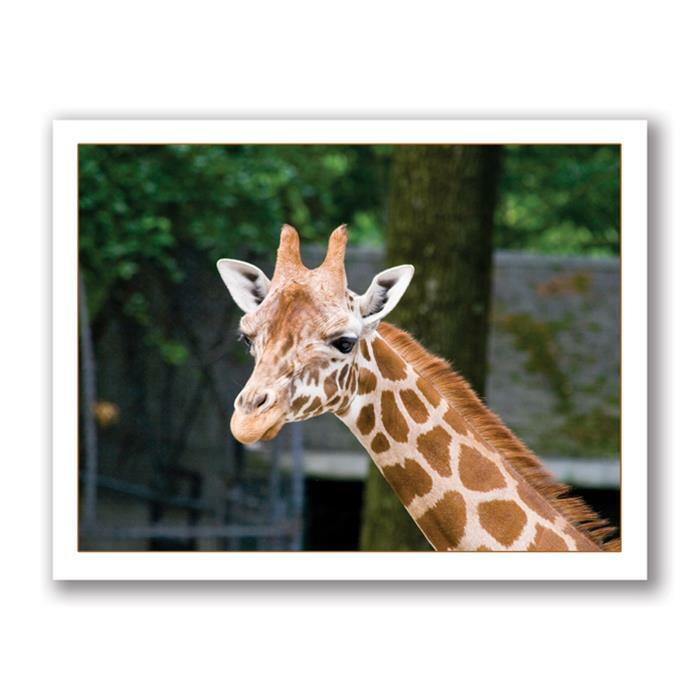 This 4¼"x&5frac12;" greeting card features a photo of a giraffe by Kurt Neumann. Photo is also available for purchase in many sizes. Please contact us for details. These photo greeting cards are giclée printed on heavy weight paper with archival ink that is designed to last for years. Minimum order quantity is 2 cards. Why Frame at Frame It?